Standing in St John the Baptist Churchyard in Stokesay is Craven Arms War Memorial. The memorial was unveiled on 29 July 1921 by Brigadier General Rotton C.B., C.M.G. and dedicated by the Venerable Archdeacon Lilley. Originally erected on Corvedale Road in Craven Arms, a rededication service took place on the 17th October 1999 when the memorial was re-positioned in its current location. 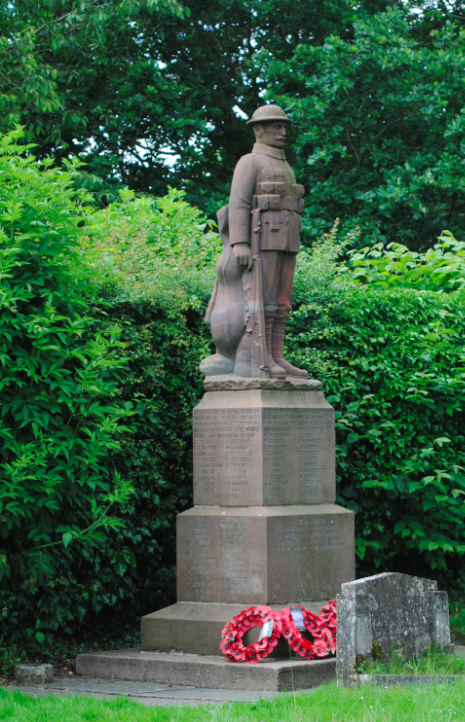 The monument has a two stepped base of Hornton stone and depicts a WW1 rifleman sculpted from sandstone. Inscribed onto the sides of the plinths are the names of those who lost their lives in both World Wars and the names of those who fought but happily returned home are also listed. 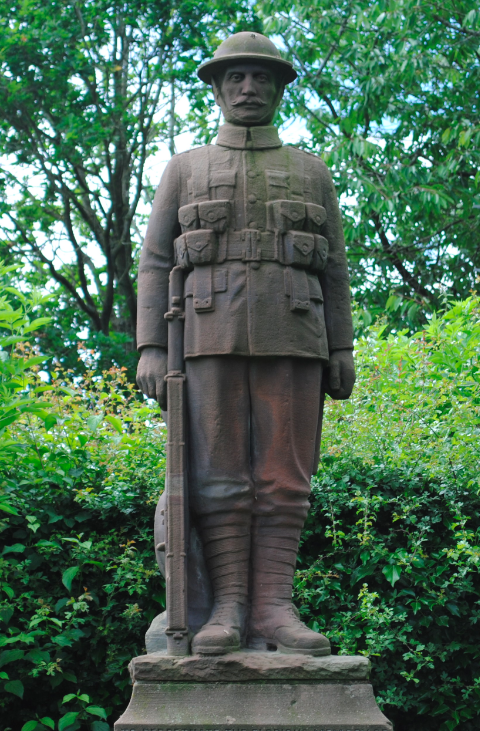 The monument is the work of the sculptor William G Storr Barber who served in the Great War with the Royal Marines. At the time the monument was moved in 1999, the War Memorials Trust contributed funds to renovate and conserve the memorial which included re-pointing, re-lettering and cleaning. The memorial is Grade II Listed.